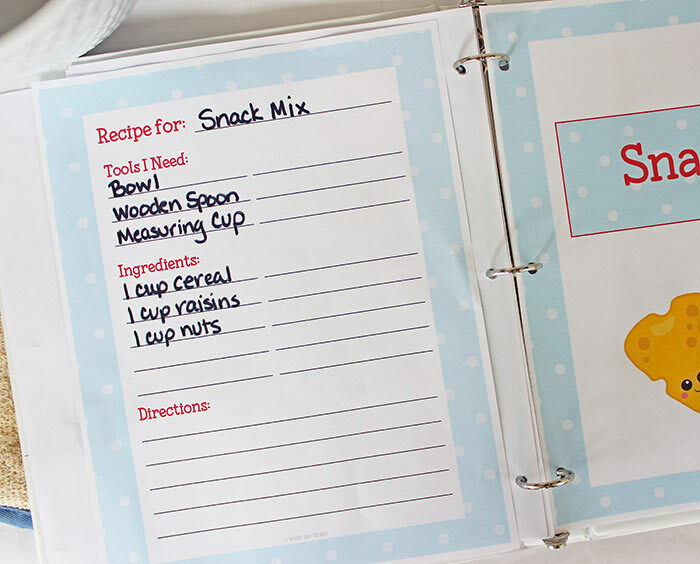 Create a custom recipe binder for kids to organize the recipes they love. Mommy, can we bake something today? I've been getting out my recipe binder on a daily basis to find something for us to cook together when I realized I should make him one of his very own. I love how it's turned out and I'm sure your little chef in training will love it too! Cooking is one of the best activities you can do with your child, at just about any age. Cooking engages all of their senses and helps reinforce reading and math skills. It fosters independence and teaches them an important life skill, and often there are cookies to eat when you're done. You'll find 10 category dividers (one is blank so you can add as many custom sections as you'd like). This helps you organize your recipes by type, with everything from baking and breakfast to sandwiches and snacks. You'll also find a recipe index page with a star rating system. We use this as the first page in our book, to keep track of what's inside, what we have already tried, and what he thought of each one. 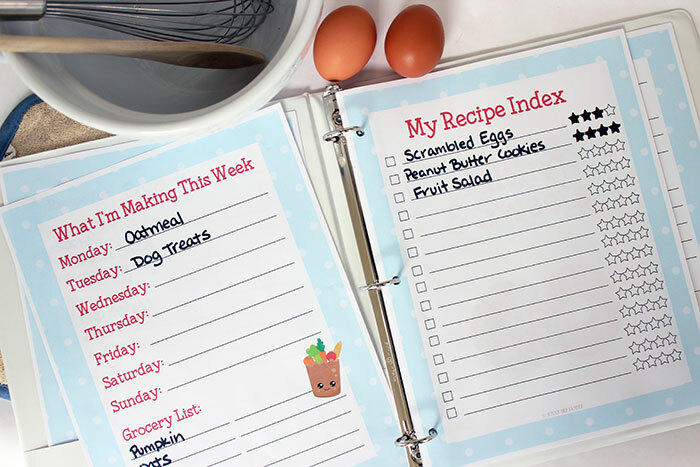 There is also a planning sheet to list what cooking projects you'd like to try each week and any groceries that you need to get. 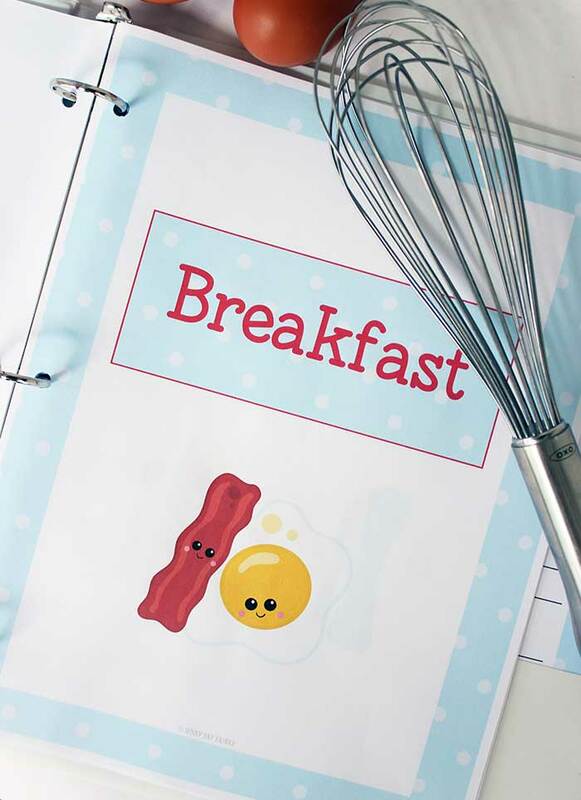 You'll also find a kid friendly recipe card - including spaces for the tools you need, ingredients, and directions. 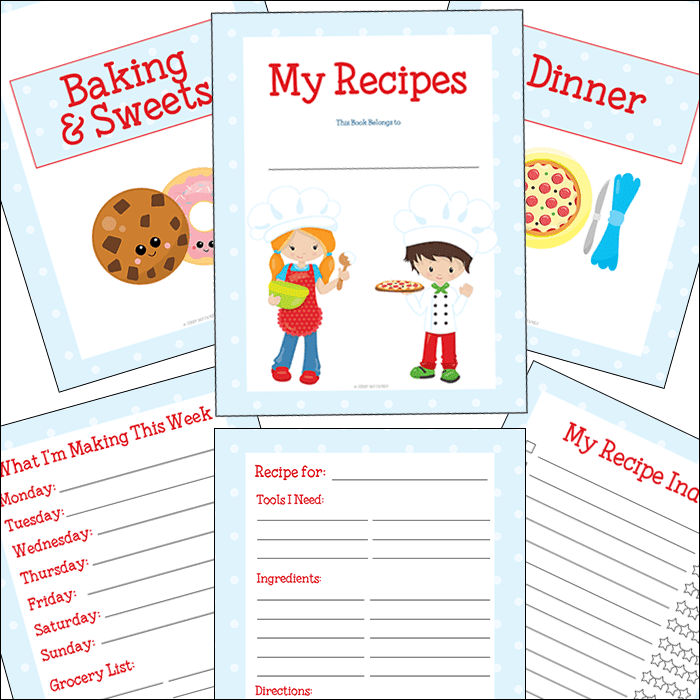 You can use these to fill in your binder, by writing down your family favorite recipes for everything from peanut butter cookies to simple homemade dog treats. 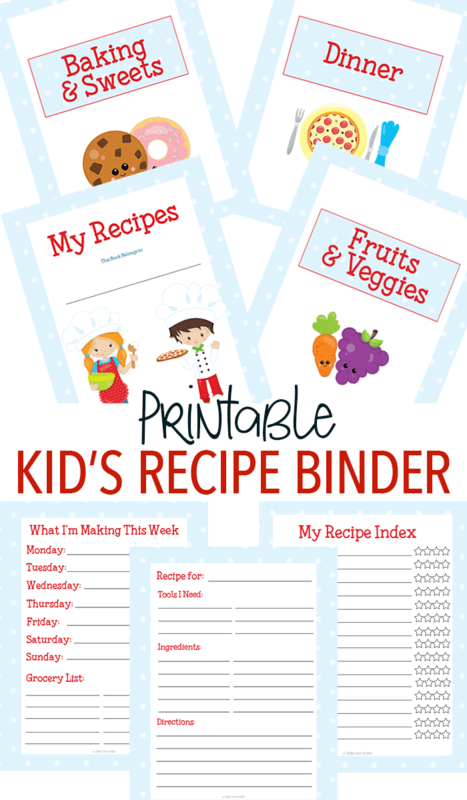 Get all 15 pages in the kid's recipe binder for only $3.99 - simply click the& button below to grab yours! The recipe binder fits perfectly into a standard 3 ring binder. 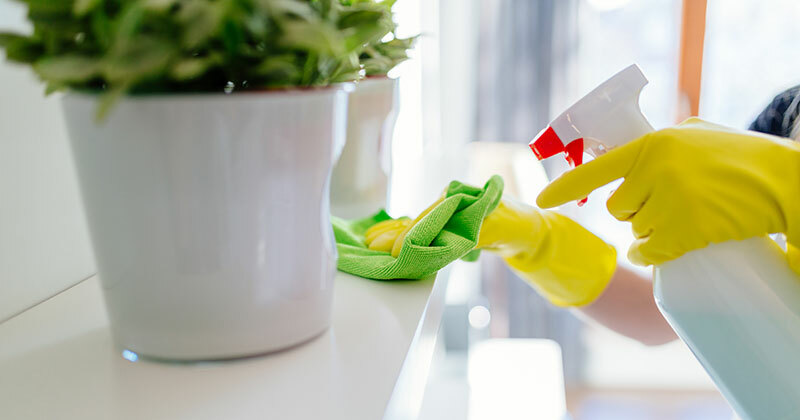 I recommend using page protectors for your pages to keep them clean from the inevitable kitchen spills that come with cooking with kids. New to cooking with kids? Check out my essentials for fun in the kitchen!